Well as we do every Wednesday; My daughter and I go to church so I have a limited amount of time to cook before heading out. 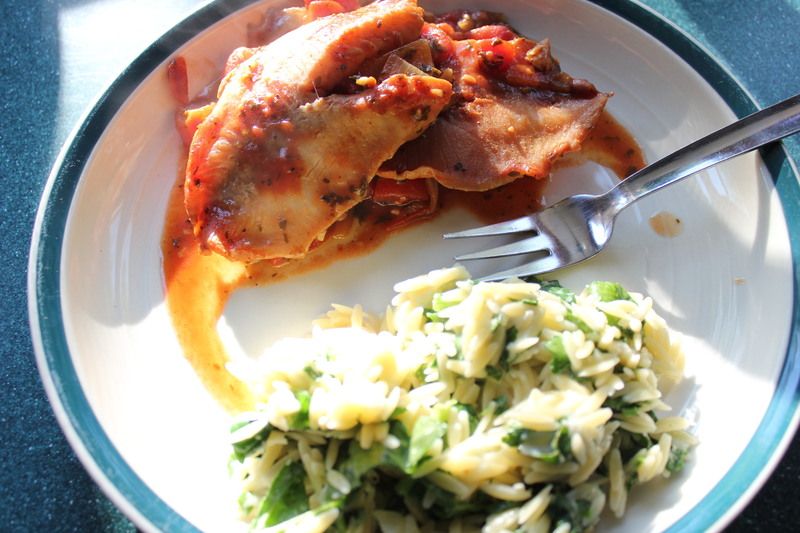 I like this meal because you can prepare it ahead of time and save time when you are running late or just crunched for time. 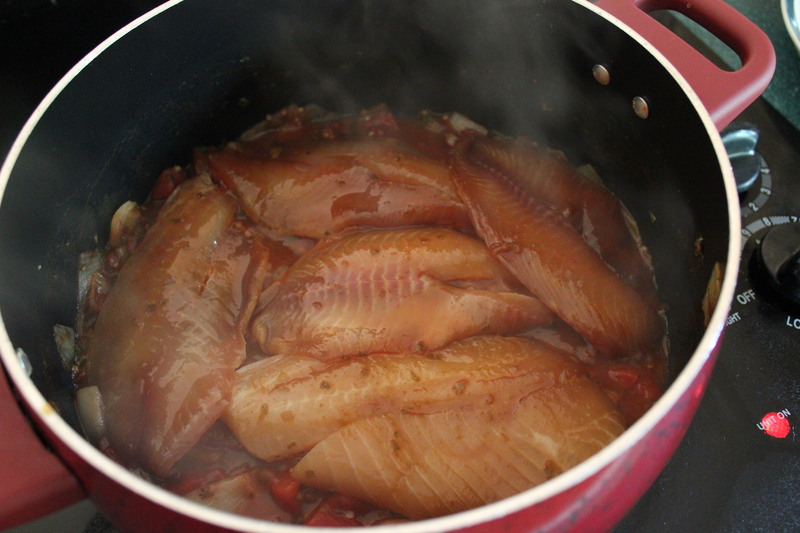 You can prepare the marinade the night before and marinade the fish over night. 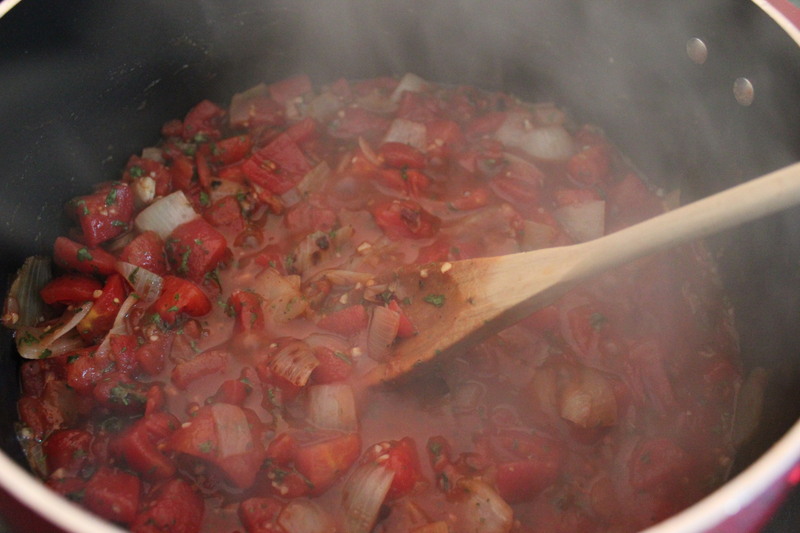 The sauce can be prepared the night before as well and be heated when needed. Add the fish and refrigerate. Heat the oil in a medium pot over medium heat. Add the onions and sauté for 3 minutes before adding the garlic. 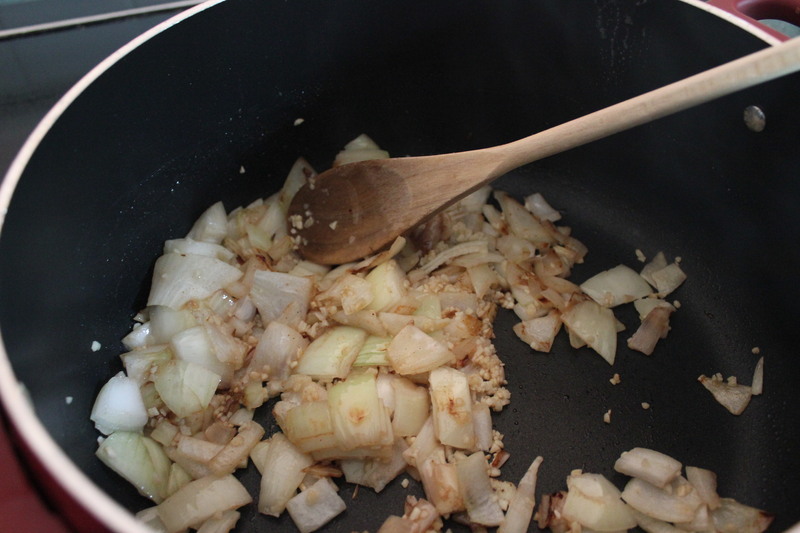 Allow the onions and garlic to sauté for 1 additional minute before adding the remaining ingredients. Reduce the heat and simmer for 6-8 minutes. In a large pan heat the sauce and olives over medium heat until sauce begins to simmer. 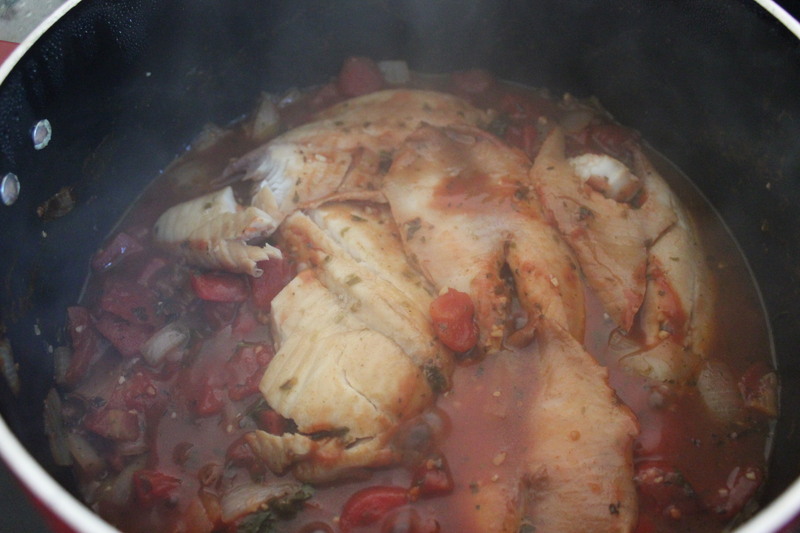 Add the tilapia, cover and simmer for 10-12 minutes or until the tilapia is easily flaked with a fork. Cook the pasta in salted boiling water according to the package directions. Drain the pasta, combine with the remaining ingredients in a large bowl, and serve.